The global centrifugal pump market is likely to gain from increasing investment in infrastructural development on account of rapid urbanization. This is to cater to the increasing number of wastewater treatment plant to serve water needs due to pervasive shortage of water. Primarily fuelling the centrifugal pump market is high demand for wastewater treatment plants to serve the water needs of the growing global population. Industrialization and urbanization especially in developing economies have contaminated water resources and have been reasons for water from these resources to be unfit for municipal use. This has necessitated industrial and municipal water to be treated to fill the demand – supply gap of water to some extent. Centrifugal pumps are an essential component of water treatment plants to treat industrial and municipal water and make it suitable for reuse. However, factors such as volatile oil and gas prices that may impact the uptake and operability of centrifugal pump is a roadblock to the market’s growth. Moreover, availability of low-priced Chinese products that compete with branded products is posing a challenge to the growth of global centrifugal pump market. To address this, top players are focused on developing energy efficient pumps that serve to reduce energy costs and help to protect the environment as well. Centrifugal pumps are witnessing a leap with integration of Industrial Internet of Things (IIoT), and digitization. This is likely to pave way for the development of smart pumps. 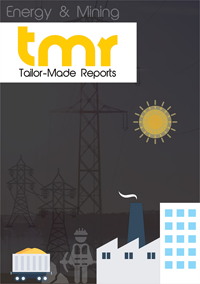 The report classifies the global centrifugal pump market into North America, Europe, Asia Pacific, the Middle East and Africa, and South America. Of them, Asia Pacific is predicted to dominate the centrifugal pump market due to increased investments in wastewater treatment plants. Lack of proper infrastructure and sewage disposal in emerging economies such as India have been reasons for industrial and municipal water to get discharged into water resources and thus create a situation of perpetual water shortage. This has necessitated industrial and municipal water to be treated to make it suitable for reuse. Rapid industrialization and urbanization in emerging economies such as India have necessitated industrial and municipal water to be treated to be available for several operations. North America centrifugal pump market is expected to rise at a steady pace due to increasing hydrogen fracturing activity in the region. The global centrifugal pump market is likely to witness the prominence of some key players, namely Flowserve Corporation, Sulzer AG, Grundfos Holding A/S, ITT Inc., Wilo SE, Kirloskar Brothers Ltd., WPIL Limited, Shakti Pumps (India) Ltd., Ruhrpumpen Group, CP Pumpen AG, Speck Pumpen Walter Speck GmbH & Co. KG, KSB AG, Ebara Corporation, Xylem Inc., The Weir Group plc, Tsurumi Manufacturing Co. Ltd., DESMI A/S, HERMETIC-Pumpen GmbH, Klaus Union GmbH & Co. KG, HOMA Pumpenfabrik GmbH, and Toyo Denki Industrial Co. Ltd.